Appetizer and dessert knives have an inserted blade made of forged and hardened special blade steel. Serrated blade guarantees years of sustained perfect sharpness. 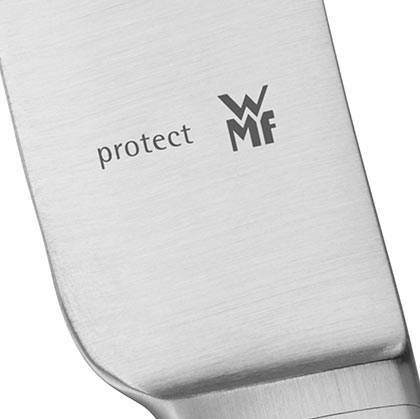 Made by WMF - Production at our own WMF plant in Heshan. Design: WMF Atelier (Peter Ramminger). This cutlery combines opposites: the collar of the handle is delicate and gently curved, in contrast, the end is wide and flat. The accented transition to the front part acts as an attractive decorative element. 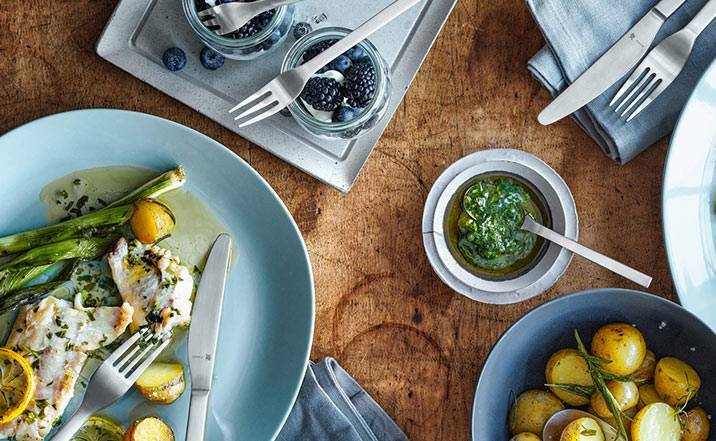 In addition to the visual characteristics, the Ambiente cutlery features elaborate craftsmanship and a pleasant feel. Made from polished Cromargan protect, the pieces are extremely scratch-resistant and crafted to look like new even after years of use. Designed by Peter Ramminger, this WMF cutlery model is equally suitable for everyday use as for creating stylish accents on a festive table.